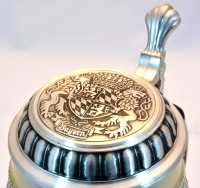 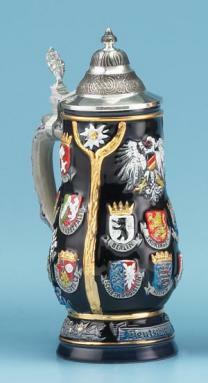 A traditional European drinking vessel decorated with a Bavarian crest and flags decoration. 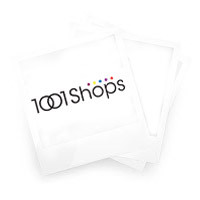 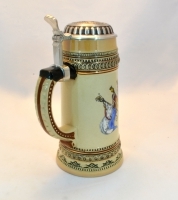 This popular item is always an excellent topic of conversation. 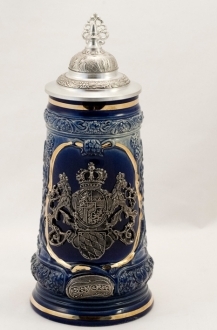 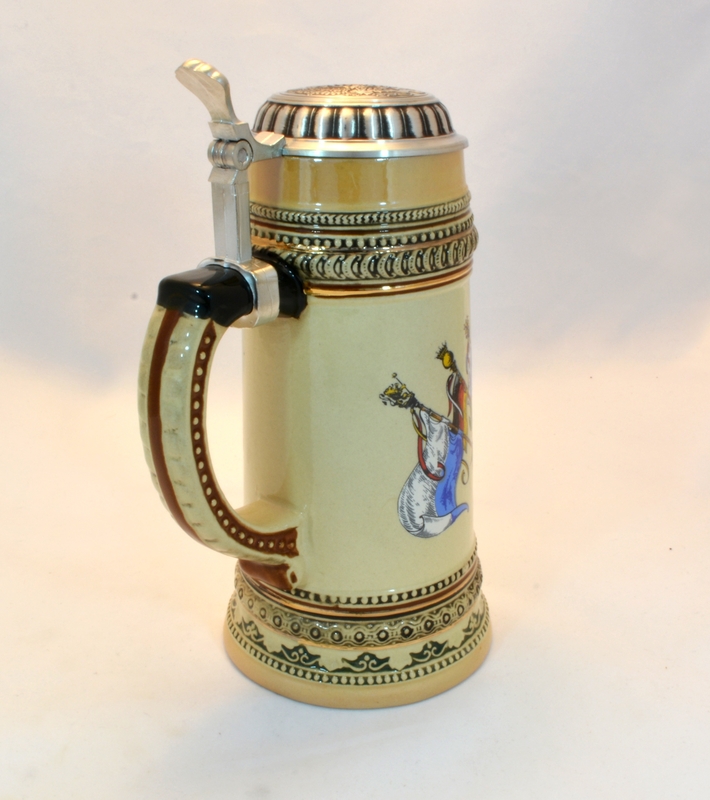 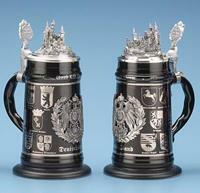 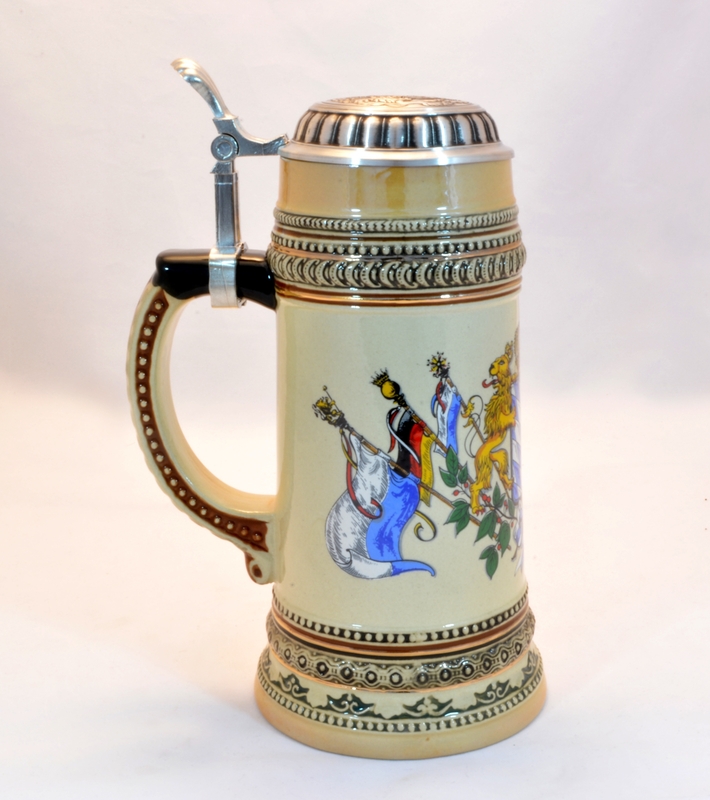 This luxurious beer stein is decorated with classical german designs. 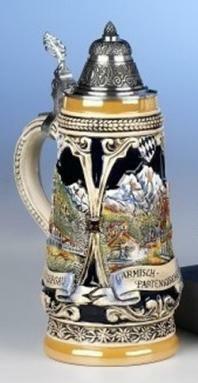 The beer stein has capacity to hold 1.0 liters of liquid. 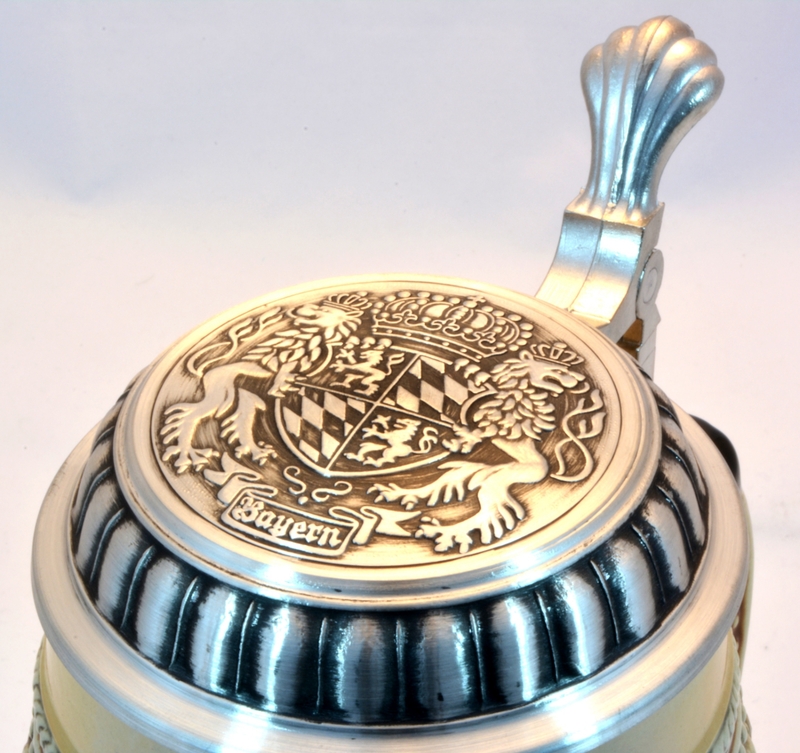 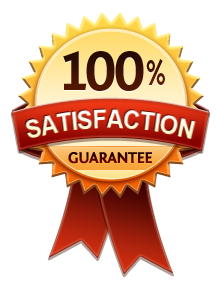 It is handpaited and handcrafted from stonewere with pewter lid. 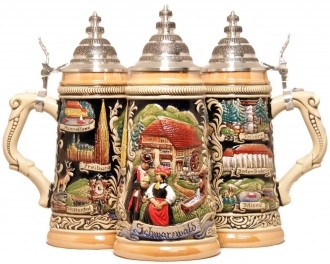 This product is made by King-Werks, also know as Wuerfel and Mueller, is one of the few remaining German stein companies that still produce 100% of their steins in Germany with 100% German materials and labor.